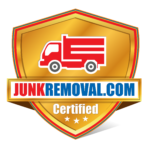 Remove My Junk has been providing the metropolitan area with exceptional junk removal service for the past eighteen years. Our services include: Junk removal, garbage removal, rubbish removal, construction debris removal, move-in / move-out cleanouts, commercial and retail space junk removal, and more. We provide junk trash removal service in Brooklyn NY, Bronx NY, Queens NY, Manhattan, Staten Island NY, Westchester county NY, Putnam County NY, Rockland County NY, and New Jersey. We are members of several trade organizations such as building contractors association and New York association of realty managers. This allows us to stay abreast of changes in the field, thus boosting the quality of service.